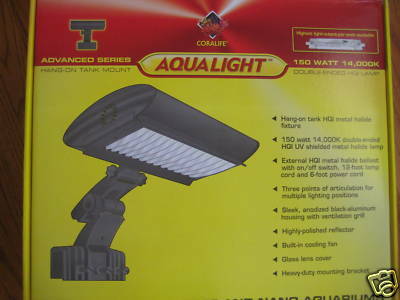 Perfect metal halide light fixture for hexagon or custom aquariums. over aquarium lip for easy and secure mounting. reflector, built-in cooling fan, and easy-connect remote magnetic ballast. 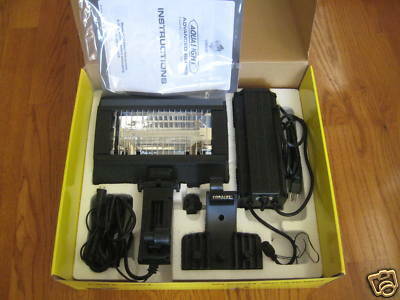 Includes 150 watt, 14000°K double ended HQI metal halide lamp.